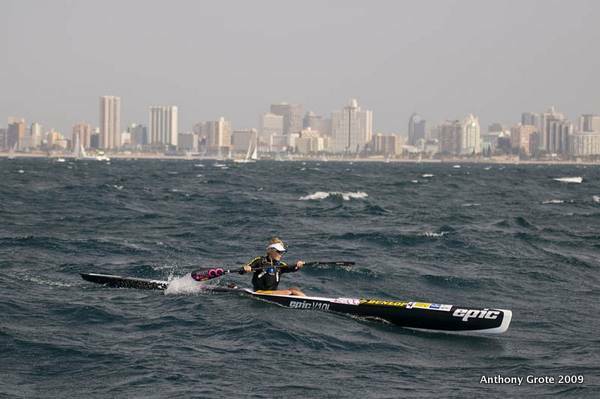 Durban – Olympian Michéle Eray jets into Durban this week with a fierce determination to erase the nightmare of 2010 by winning the Dunlop Surfski World Cup title that slipped through her fingers last year. 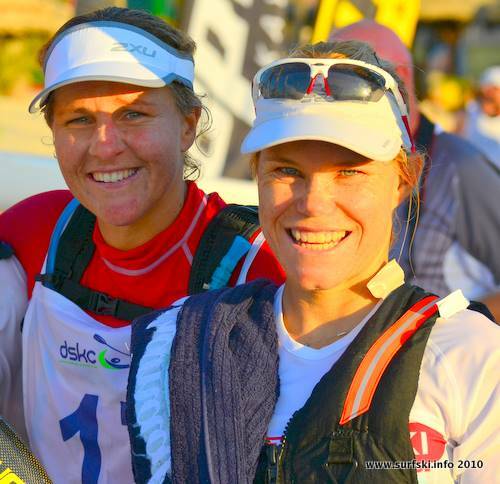 Eray was locked in a duel with Capetonian Nikki Mocke and seemed to have the race well in her control as they neared the finish at Winklespruit, only to see Mocke scamper up the beach ahead of her to claim the women’s purse. 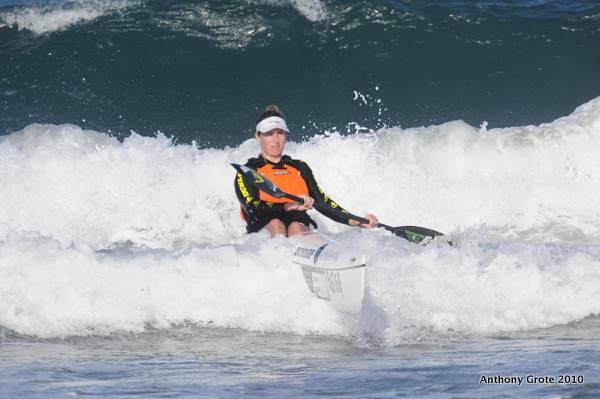 In all Eray has experienced each of the three steps on the podium at the Durban Surfski World Cup. She was well beaten into third place in the inaugural event in 2006, romped home to win at Westbrook beach in 2009 and then finished second in 2010. Eray is always pushing the envelope and championing equality for women in paddling, and surfski is no different. “One day, maybe one day, we will be allowed to start thirty minutes ahead of the guys in our own batch, and race purely against each other. I hope it happens during my time,” she muses. While she is happy to race the old format of a tough 32km leg, she sees the new shortened 26km format is making for more exciting racing. Apart from her perennial colleague and good friend Nikki Mocké, she predicts several others being in the dice for the beach finish on Sunday afternoon. The Dunlop Surfski World Cup takes place on Sunday 26 June from Marine SLC at Addington beach.